Light rain became heavy rain and with a green track first practice was at least 20 seconds off the pace. Second practice was only a few seconds faster so as we broke for lunch the only topic of discussion was the weather and would it lift. In Shaun's first timed run of the day he spun - 105.78". Kev and Derek both improved on their second practice run by another 1.5" with times in the mid 90s. Bob gained nearly three seconds to record an 83.73. Shaun's kept to the black stuff and put in a time of 91.79 thanks to very ballsy final corner where he gained over a second over both Kev and Derek. Kev improved but only marginally to do 92.91. Derek pushed harder and secured second with a 91.13. Bob knocked off another 3 seconds to record 80.79. With the weather beginning to improve, their was hope of a third run. 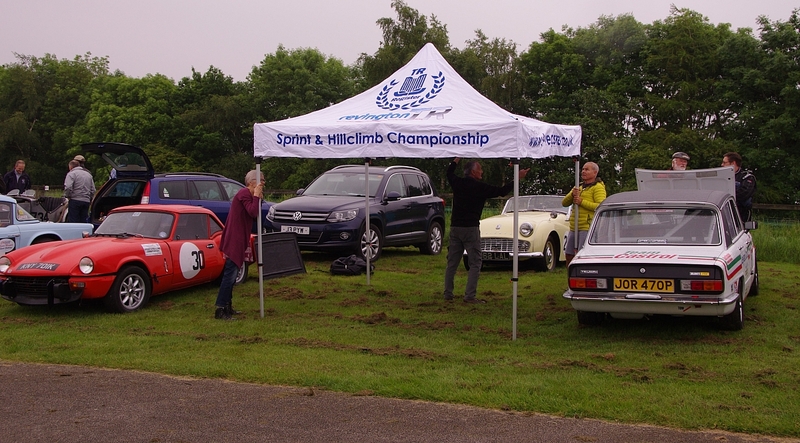 Then one of the Austin A7s left the track, over the grass, up the bank and into a ditch. Luckily the driver was OK but it took over 30 mins to recover the car. The prospects of a third run looked remote and so people started to pack up. 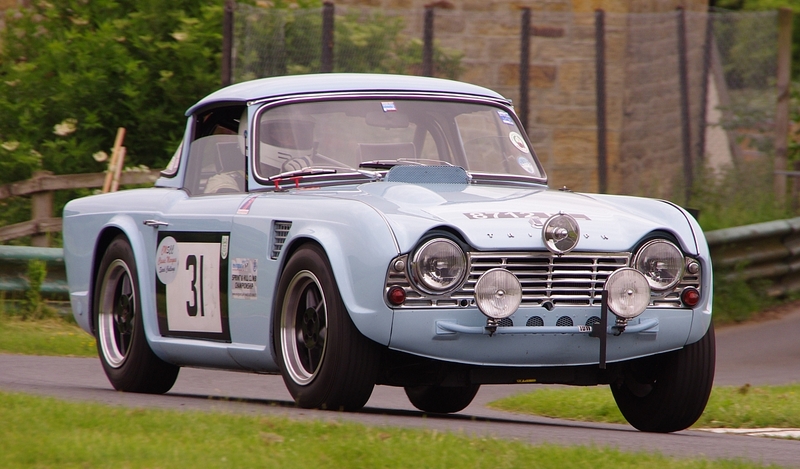 I got chatting to a chap who used to race TR3s in his youth and so was delayed leaving. By the time I was ready the stewards had declared a third run and boy was it worth it. Excellent article and photos Kevin! That final run gave a fantastic ending to a very difficult day. I got a 70.82 the next day which was hot and dry and even more fun!